This 18th century house is found midway betwen Pau and Biarritz , locaded near the center-town of Salies de Béarn. Welcome in the green tranquillity and relaxation of its french ornament garden and its kitchen garden. On a little island drawed by a fishing river , the garden of centennial trees and the terraces, the litlle bridge spanning the river, made a charmed oasis in the heart of middle-age salt-town Salies de Béarn. 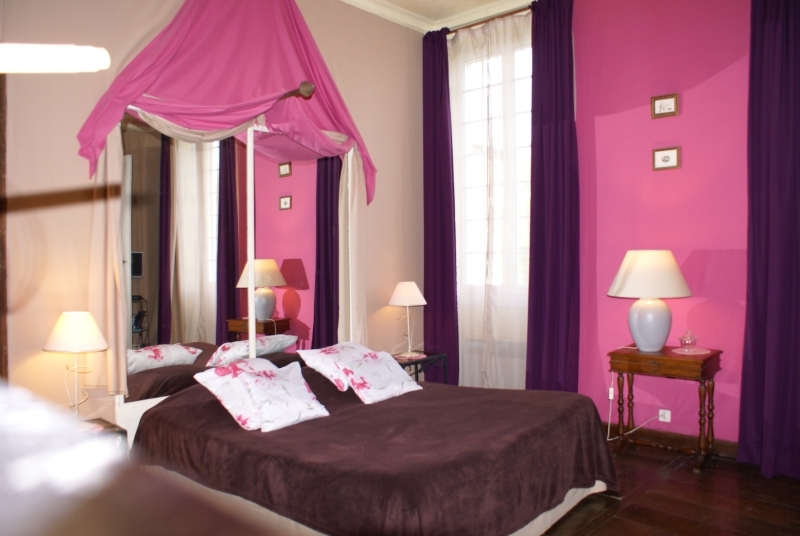 For a family stay or a health&fitness in the spa of Salies de Béarn , 5 rooms are proposed in ” La Demeure de la Presqu’île”: from a major double room ,and the pilgrin-bedroom to a family-suite (4 pers).